Paul re-joined R.W. Holmes in 2007 as Director of Finance after having previously worked for the firm from 1987 to 1995. During his three-plus decade career, Paul has worked on the accounting, financing, property management and development of many types of real estate projects, including office, industrial, warehouse, retail, entertainment and residential in both the Massachusetts and Washington, DC markets. 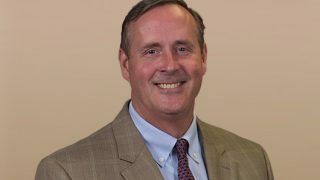 He has served on the Board of Directors for Big Brother Big Sister of MetroWest, as well as various Boards and committees for the Town of Natick, including The 4th of July Parade, the Natick 350th celebration and The Affordable Housing Trust.